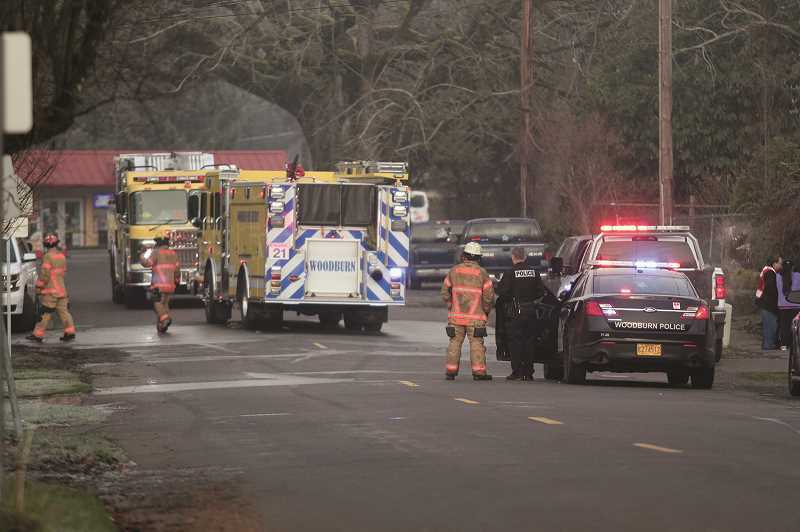 A three-alarm house fire displaced nine Woodburn residents after the home's heating devices accidentally caught fire Thursday morning. Volunteers from the Woodburn Fire District responded to a house fire at a multi-family home along the 700 block of Harrison Street at 6:02 a.m. Additional responders from Mount Angel, Aurora and Hubbard, along with Woodburn Police joined soon after and helped to secure and care for the residents, who were asleep when the fire began. Investigators determined the source of the fire likely was one of several devices used to heat the home, Woodburn Fire Chief Joe Budge said. "There were multiple heaters — propane heaters, electrical heaters; that was probably the source," Budge said. Budge said there were nine residents asleep at the time of the fire, one of whom was awoken by the blaze and alerted the rest of the residents. Multiple families lived at the residence. The owner had subleased a portion of the rooms of the house, and there was a family living in an attached garage space. The fire started at the back of the house and spread inward. One resident — the owner of the home — was injured in the fire and was treated at the scene for burns. Red Cross officials were on the scene to arrange for temporary housing for the people that were leasing the property and the owner. 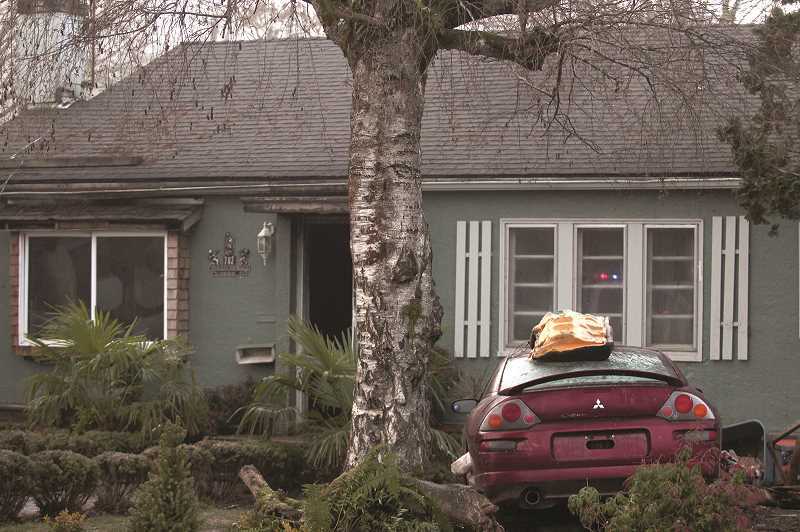 The Red Cross provides resources to help address the immediate basic needs of those affected such as temporary housing, food, clothing, comfort kits with toiletry items, information about recovery services, and health and mental health services.